Carlos, Deb, and Wayne traveled to Southern Peru in 2018 on a 19 day self-guided trip to bird the Manu Road, areas around Cusco, Ollantaytambo, and Abra Malaga, and along the coast south of Lima. They even threw in a visit to Machu Picchu, the famous ruined Inca city in the mountains above Aguas Calientes. 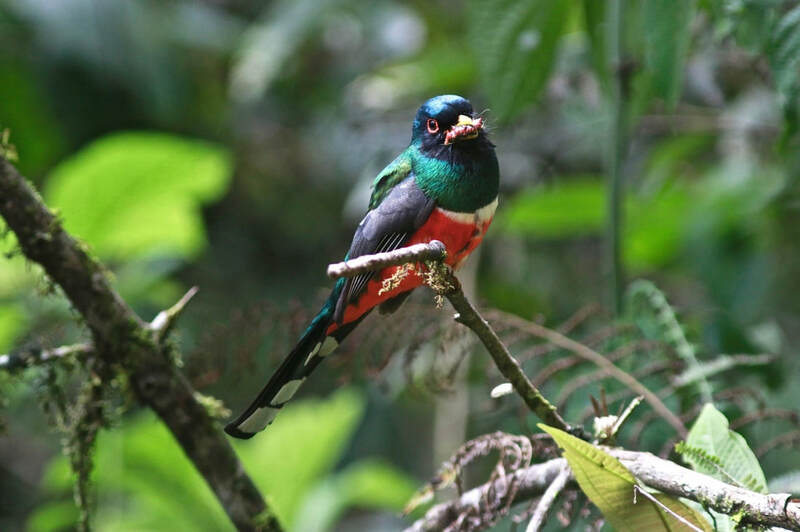 Join us for a travelogue of their fantastic encounters with about 430 species of birds (including 43 species of hummingbirds and 75 species in the Tanager family), lots of primates and other wildlife, and even guinea pig for dinner! Hesitant to join our regular birding walks? Concerned that you're the only beginner? This walk is for you and all your beginning birding friends. Build your skills and confidence identifying common backyard birds by sight and sound. Questions encouraged! We will potentially walk 2 miles on a paved bike path. The only undeveloped salt pond in the state, 180 acre Trustom Pond often attracts thousands of ducks, geese, and swans during the peak of migration. We will walk the 3 miles of trails in search of waterfowl, and migrating songbirds taking advantage of the 700 acre NWR. Great Swamp is a 3,349 acre management area and a 4.3 mile loop managed by the D.E.M. It has an array of habitats including swamp, a man-made impoundment, woodland edge, as well as a powerline cut. Late March/April is the premiere time of year to go to Great Swamp, because there is a lot of wildlife, it is not hunting season, and it is too cold for the biting flies that inhabit the swamp during the summer. This is Patrick Felker's senior project, and the walk will not only focus on birds, but also the other wildlife, such as mammals, amphibians, and trees as well as the abundance of history associated with Great Swamp. Join us as we celebrate our fifth year as Rhode Island's only Bird Club. Our special guest speaker this year is the acclaimed author, radio contributor, and podcast host, Laura Erickson as she speaks about her Conservation Big Year. 6:30 - 7:30: Guest Speaker – Laura Erickson, producer and host of​ ​For the Birds, the longest-running radio spot about birds on the radio and is also available as a podcast. Please click HERE to learn more about Laura's talk entitled, "Laura's Conservation Big Year." Please click HERE to learn more about Laura Erickson's array of work along with her credentials and long list of accolades.